We live in a challenging and often topsy-turvy world. Research on stress suggests that we have never been more challenged by anxiety, depression, and stress, and that it often feels for many that we, as a community, people, and society, have simply lost our way. Technological advances and other changes in families, communities, and society can unfold at head spinning speed. Stress and dysregulation now seem to be the norm. The world of today is not the world we recognize from not too long ago. In Living Well: Doing the Right Thing for Body, Mind, Spirit, and Communities, Thomas G. Plante, PhD, ABPP, a practicing clinical psychologist as well as a professor of psychology at Santa Clara University and a clinical professor of psychiatry and behavioral sciences at Stanford University Medical School, offers a series of brief, thoughtful, evidence based, and research supported strategies to manage the challenges of life today. He begins with the important role of ethics in organizing and centering our lives, and then applies commonly embraced ethical principles to personal and spiritual well-being, health and fitness, intimate and other important relationships, parenting, and education. He takes a whole person approach to discuss how ethical decision making and important principles for living can be applied to body, mind, soul, and communities to maximize a better life for all. 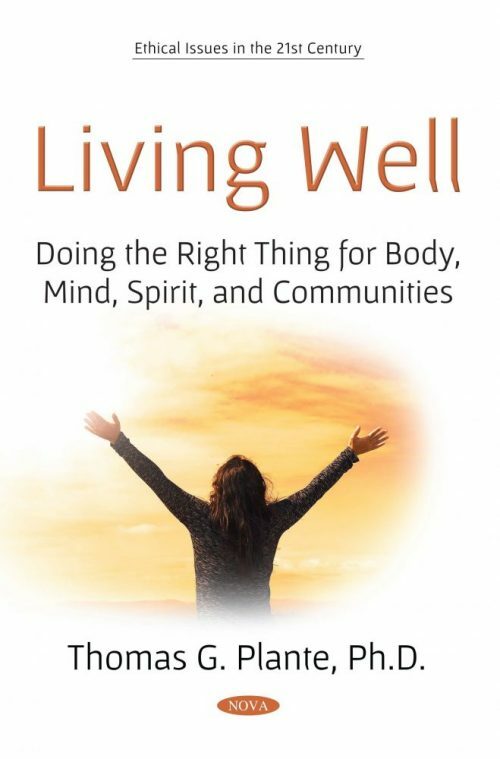 Living Well emerged from the writings of Dr. Plante in Psychology Today magazine in a very popular blog called Do the Right Thing: Spirit, Science, and Health. This book is based on these posts. A happier and more fulfilled life can be found by following fairly simple and time tested principles for living offered in Living Well.